What are common BIPV applications? The exciting thing about Building Integrated Photovoltaics (BIPV) is that the choice of integrated solar applications is only limited by imagination. Besides imagination, in terms of the number of architects and project developers interested in this field, the cost of Integrated Photovoltaics is a major factor to turn concept applications into reality. What is possible with Integrated Photovoltaics? 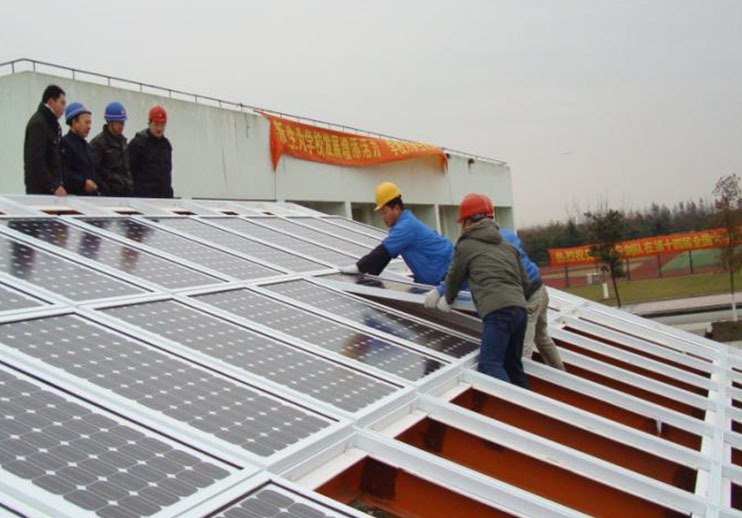 solar cells produce DC power, which can directly be used to power (LED) lighting, water pumps, traffic signage and so on. 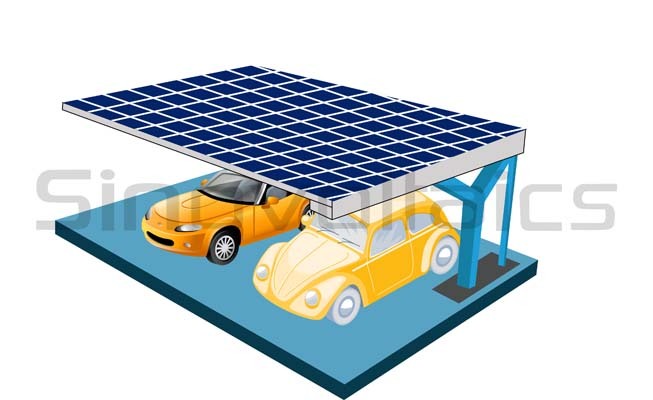 When connected to an inverter, integrated photovoltaics can produce alternating current (AC), wich basically can power anything a household wants to connect, from tv’s, microwaves to electrical cars. What are common applications of BIPV? The examples given here are all products made in China. 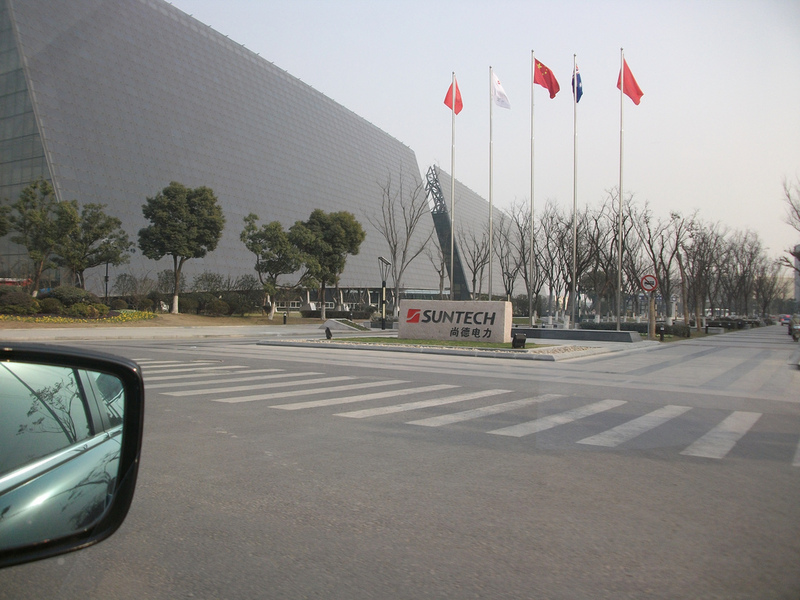 China will play an important role in the manufacturing of BIPV solutions in the future. 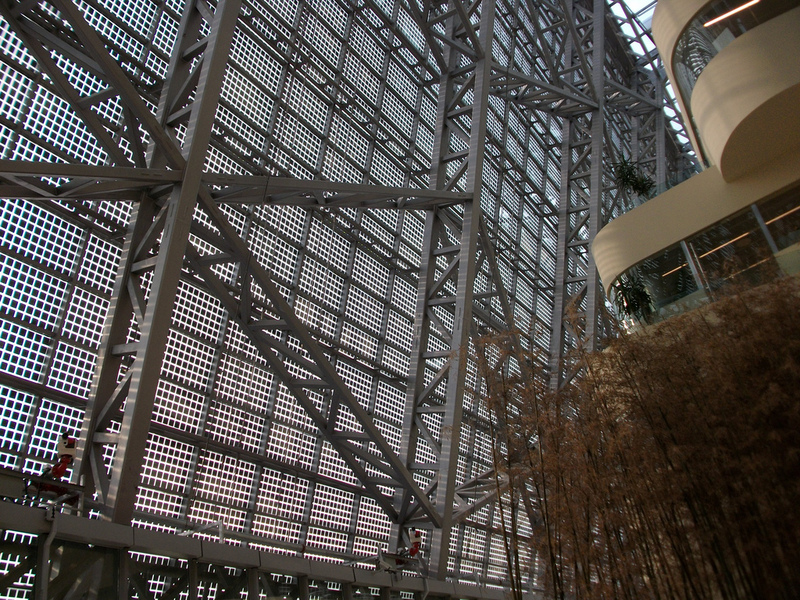 A curtain wall made of BIPV panels is an exterior wall that provides no support to the actual building. See below two examples: Trina and Suntech power. The pitched roof is a common usage, where the BIPV panels basically take on the function of the roof. There are various solutions for this. When installing integrated photovoltaics on an exisiting building, the entire roof needs to be replaced. When installed on a new structure, the BIPV panels will replace the traditional tiles, which will lead to less money spent on the ‘traditional roof’, which will make investing in the BIPV panels more attractive. Glass BIPV panels can be applied basically anywhere to windows or skylights providing a semi-transparent facade allowing a certain percentage of light to enter the building. 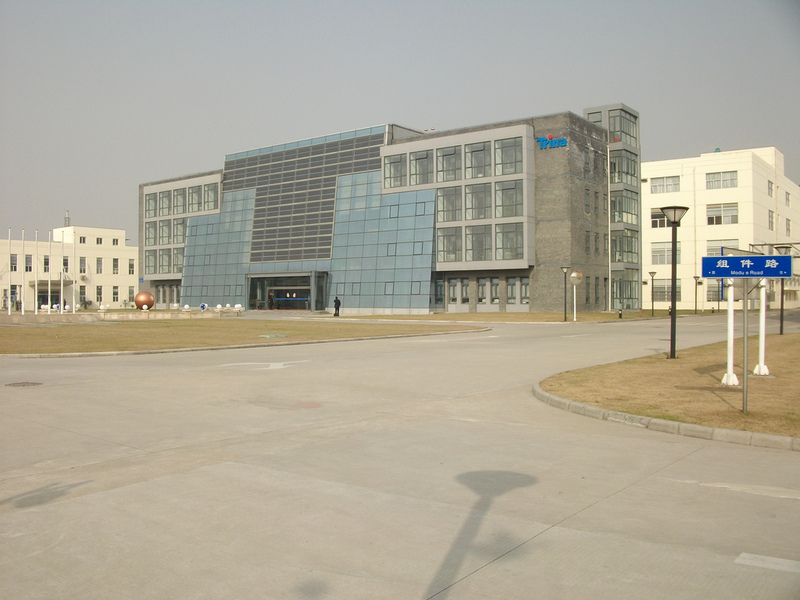 Double glass BIPV panels can be customized. The custom options are so wide that you would almost wish these product would have been standardized already. The size of the glass can be varied. The largest size glass is limited by the old fashioned lamination machine. Therefore most BIPV manufacturers offers panels of approx. 2 to 3×4 meters max. The thickness of the glass can be varied. As the thickness and the strength go hand in hand, a proper calculation will give the answer which thickness to use. The shape of the glass can be varied. See an example of the triangle BIPV panels that we produced. Any shape is possible. The Power of the BIPV panels can be varied. It depends on the technology used and the amount of cells per square meter. The starting point is always the electricty usage of the construction where the panels will be installed. 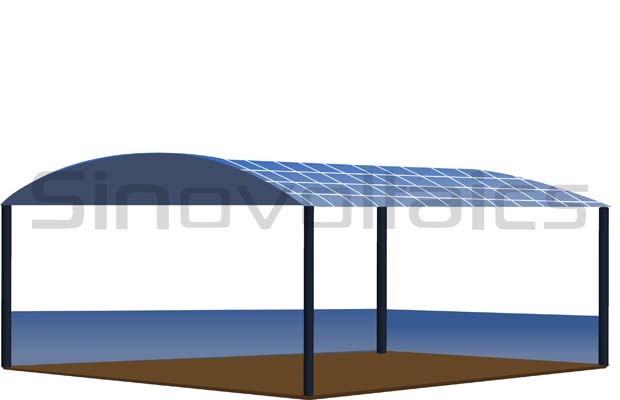 The percentage transparency can be varied, by increasing or decreasing the spacing between the solar cells. This depends per application. Finally the colour of the BIPV can be varied. There are several ways to do this. Most people would use colored solar cells, however also the EVA or PVB encapsulator is available in any color. The term Shadow- Voltaics refers to a BIPV system that creates shadow and power at the same time. 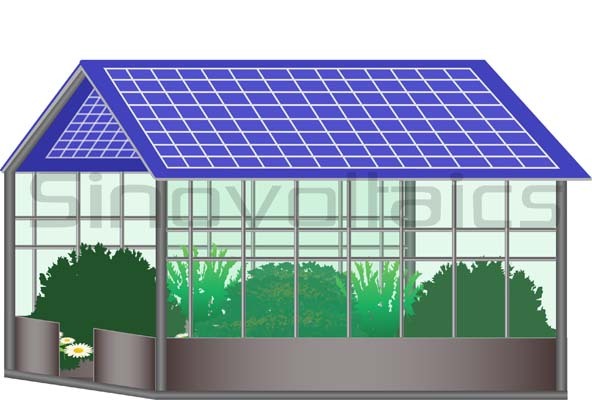 Depending on the type of plants grown in a greenhouse, a BIPV panels can be suitable. Several plants suffer from direct sunlight and therefore the installation of BIPV panels, with a certain percentage of transparency, can be useful.